The California Air Resource Board has issued executive orders on a number of 2014 Harley-Davidson models, revealing much of the Motor Company’s upcoming product lineup. While most of the models listed are familiar, the documents do reveal some gems including possible signs of the long-rumored new liquid-cooled Harley-Davidson engine. 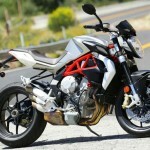 The first and least surprising reveal is the disappearance of the 1584cc Twin Cam 96 engine. 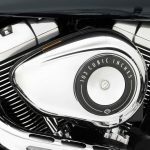 The Street Bob and Super Glide Custom, which held on to the 96 engine for 2013, will get the Twin Cam 103 engine offered in several other Harley-Davidson models. Also unsurprising is the absence of the Road Glide which Harley-Davidson already confirmed would be discontinued for 2014. 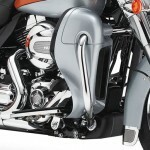 More significant are some new additions in the Street Glide Special, CVO Deluxe and CVO Ultra Limited. The names don’t reveal too much, though fans of the Softail Deluxe might be interested in seeing it get the Custom Vehicle Operations treatment. The CVO Ultra Limited is a different matter. 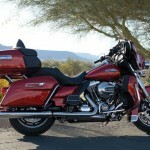 The Electra Glide Ultra Limited isn’t new, nor is the idea of a CVO version. What’s notable about the 2014 Ultra Glide and its CVO version are the emissions data. 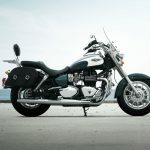 According to the 2014 documents, the Ultra Limited will still have a 103 engine, just like last year, while the CVO version uses the 110 engine like other CVO models. What’s different is the two Ultra Limited models got their own CARB executive order separate from the other models using the 103 and 110 engines. The Ultra Limited also has significantly lower exhaust emission ratings than the other models. The Breakout and CVO Breakout, for example, are listed along with other models as having exhaust emissions of 0.39 g/km of hydrocarbons, 0.58 g/km of hydrocarbons plus nitrogen oxides and 1.8 g/km of carbon monoxide. The 2014 Ultra Limited however is listed as having 0.08 g/km of hydrocarbons, 0.11 g/km of hydrocarbons plus nitrogen oxides and 0.8 g/km of carbon monoxide, significantly lower than the other models despite having the same engine displacement. Now, this information might not be definitive evidence, but could the significantly lower emissions be a result of the long-rumored Harley-Davidson liquid cooled engine? 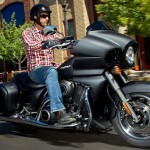 We’ll find out on Monday, Aug. 19, when Harley-Davidson is scheduled to release its 2014 model lineup.